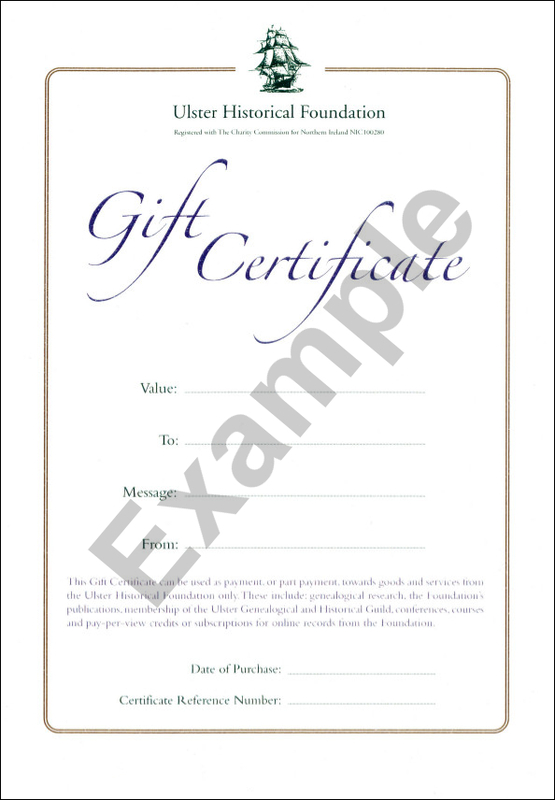 Ulster Historical Foundation Gift Certificates, (from £30.00) may be used to buy a family history report, the Family Research Starter Kit or books available at booksireland.org.uk. For example, an initial assessment costs just £35.00, or an hour's consultation with one of our genealogical research team costs £30.00. It is the ideal present for the novice or more experienced family history researcher for a birthday, Christmas or other special occasion.